Ennis, TX - Danny Nelson from Batesville, Ark., used a perfect reaction time and a remarkable .004 second total package to defeat Ross Laris, Raceland, La. Nelson’s lap of 6.704 seconds, 198.44 mph in the KPE Top Dragster final secured the win over Laris’ runner-up pass of 6.422, 208.33. 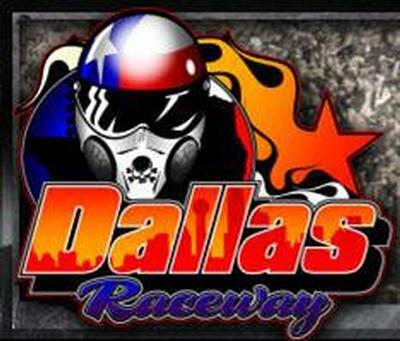 Crandall, TX - Local business owner, racer Mike Adcock purchases Dallas Raceway. The track will continue to operate as normal under the direction of Adcock and will host the Summit Racing Equipment Pro-Am Tour presented by AMSOIL, an event that was originally scheduled for May at Dallas Raceway, the weekend of July 12-14. 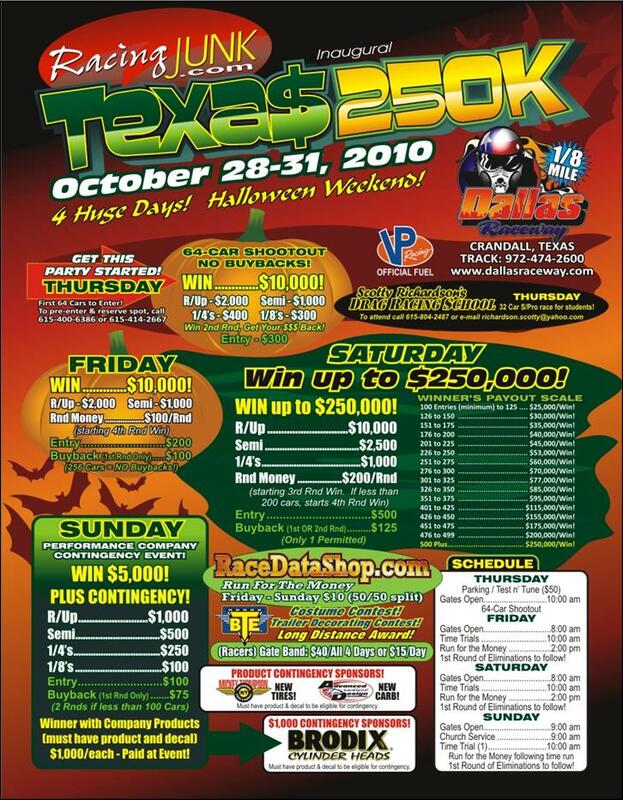 Crandall, TX - A whole host of races will be contested this weekend at Dallas Raceway in Crandall, Texas this weekend when the Inaugural Texas $250k presented by RacingJunk.com. 4 huge days of racing this Halloween weekend.